(NaturalNews) Sometimes it isn't fun being right. 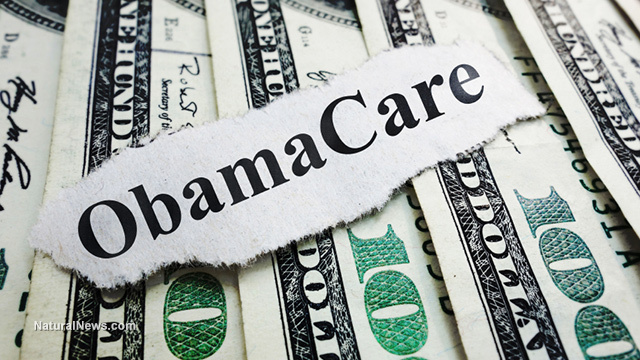 Natural News, as well as a precious few other media outlets, have warned for years now that the implementation of a provision of Obamacare that requires employers with more than 50 employees to provide them with costly new health insurance coverage would ultimately cost jobs - at a time when unemployment and underemployment remains historically high. After the Affordable Care Act was passed in 2010 and the U.S. Supreme Court upheld most of its mandates as constitutional (by essentially having the chief justice rewrite the individual mandate as a tax), President Obama set about unconstitutionally delaying several parts of it - 21 at last count - because it was politically beneficial for his party. One of them was the employer mandate; as "vital" as Obama and Democrats said the law was to the country, delaying any part of it seems counterintuitive, but that's another issue for another day. Obama first delayed the mandate in 2013; his administration delayed it again earlier this year - firms with fewer than 100 employees now have until 2016 (ironically, the same year as the next presidential election). But larger firms will have to cover at least 70 percent of their employees beginning next year. In recent weeks, criticism of the Affordable Care Act's employer mandate - one of the law's most controversial components - has intensified, as employers such as Settles complain publicly and even some Obama administration allies acknowledge that the mandate has harmed some workers. Scores of businesses have, in fact, begun to reduce hours for part-time workers to fewer than 30 hours per week, the Post noted - which is Obamacare's definition of full-time employment - so they don't have to offer health insurance coverage that has actually skyrocketed for tens of millions of Americans since the law was passed. Many more companies say they are holding off hiring so they can avoid the insurance requirement. Seasonal employees and low-wage workers, like cafeteria staffers and adjunct professors, have been hit very hard. The law remains very unpopular, but it is being made even more so by the employer mandate, a number of experts have said. They add that getting rid of the employer mandate altogether would be a good thing and would not harm the law's centralized goal, which was supposed to be universal health insurance coverage. "We've never thought [the employer mandate] was particularly good policy, and while people have probably screamed too loudly about the effects on employment, there is some of it that's certainly true, and it's not worth the price we seem to be paying," said John Holahan, a fellow at the Urban Institute and a co-author of the recent paper "Why Not Just Eliminate the Employer Mandate?" That, however, would require Congress to act and there is virtually no chance, even with a mass revolt of many of the same Democrats who voted for the law, that President Obama would gut his signature legislation. Administration officials would also have to figure out a way to replace the revenue the mandate is expected to generate - an estimated $150 billion in fines over the next decade from employers that don't comply. That money is supposed to fund subsidies for low- and middle-income individuals buying health insurance. And that's another bizarre aspect of Obamacare; who, but big government types, thinks its sound policy to raise money by punishing businesses when you're supposedly trying to get them to hire people in the first place? One more thing: isn't it better policy to make it easier to comply with rules and laws instead of making it so difficult you expect to make money for the government by issuing fines? That's a bit like cities who establish speed limits on roads but then refuse to publish the speed limits so their police department can issue more tickets. In the meantime, employers will continue to shed employee hours and refuse to put more people to work because of this one law. How is that good for the country?